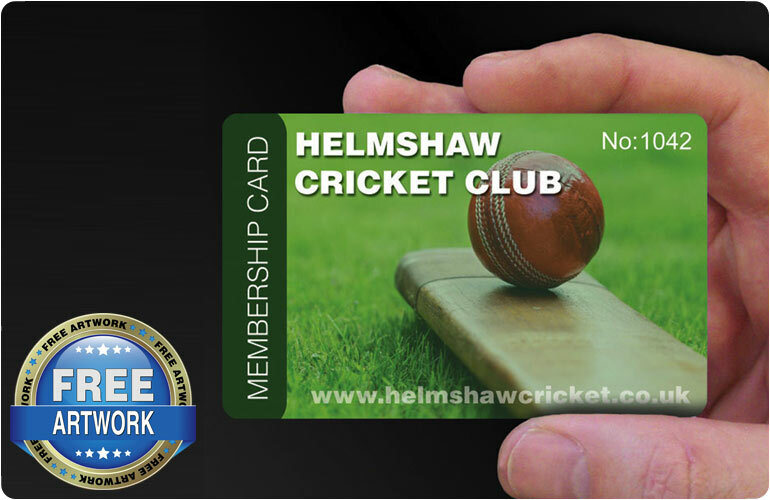 We provide high quality plastic membership cards for a wide range of clubs and organisations throughout England such as: Angling Clubs, Archery Clubs, Athletics Clubs, Badminton Clubs, Boating Clubs, Bodybuilding Clubs, Bowling Clubs, Boxing Clubs, Canoeing Clubs, Cricket Clubs, Cycling Clubs, Football Clubs, Golf Clubs, Gym Clubs, Hockey Clubs, Motorsport and Car Clubs | Rowing Clubs, Rugby Clubs, Running Clubs, Sailing Clubs, Shooting Clubs, Snooker and Pool Clubs, Swimming Clubs, Tennis Clubs, Triathlon Clubs, Walking Clubs, Yachting Clubs the list is endless! We supply very small local organisations that have just a handful of members to large national or multi-national organisations with tens of thousands of members. 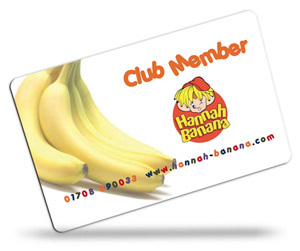 Our membership cards are very durable as they are solid plastic and are printed in vibrant full colour (CMYK) on each side under the surface for maximum durability, plus you can choose a high gloss or luxury matt finish. We can help you by creating your artwork for you free of charge, or if you are supplying your own artwork we can check it for technical issues and fix them free of charge so they will print perfectly. 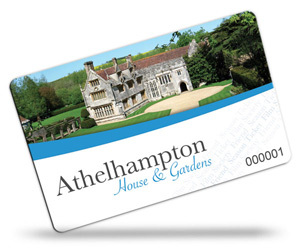 We have a wide range of Optional Extras to ensure that your membership cards are perfect for your requirements. Our vast range of optional extras combined with our competitive prices and fast, friendly service makes us a market leader which keeps our customers retuning time after time as well as recommending us. 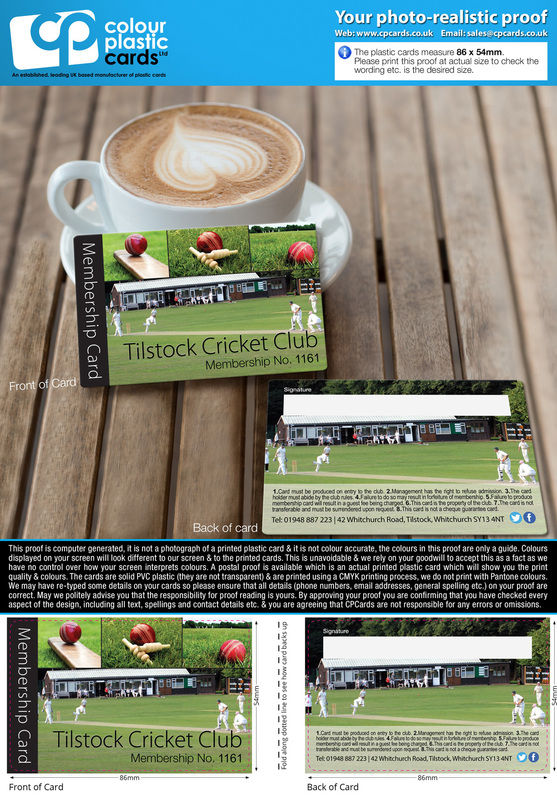 The majority of cards that we print have a signature strip and also a unique number which is usually sequential however you can supply an excel document and we can print the details from the document onto the cards so each one has unique details. 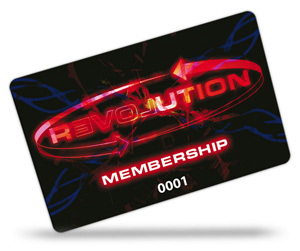 For example, their name, membership number, expiry date, level of membership etc. Over the years we must have printed every type imaginable. The majority of our work is repeat customers as our quality, customer service and prices are second to none. 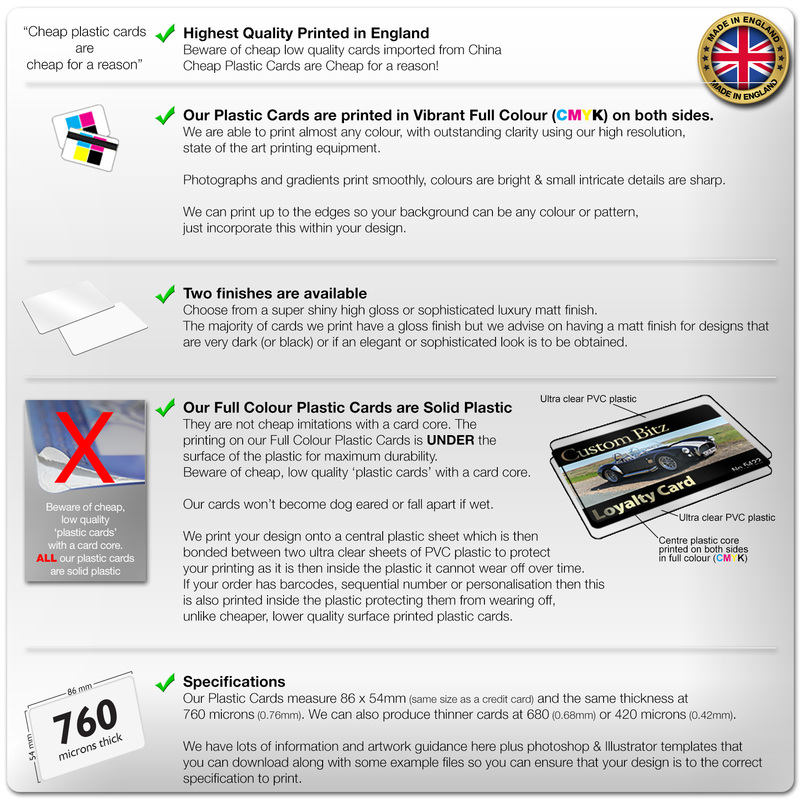 All our cards are printed in England and are solid plastic and are high quality. 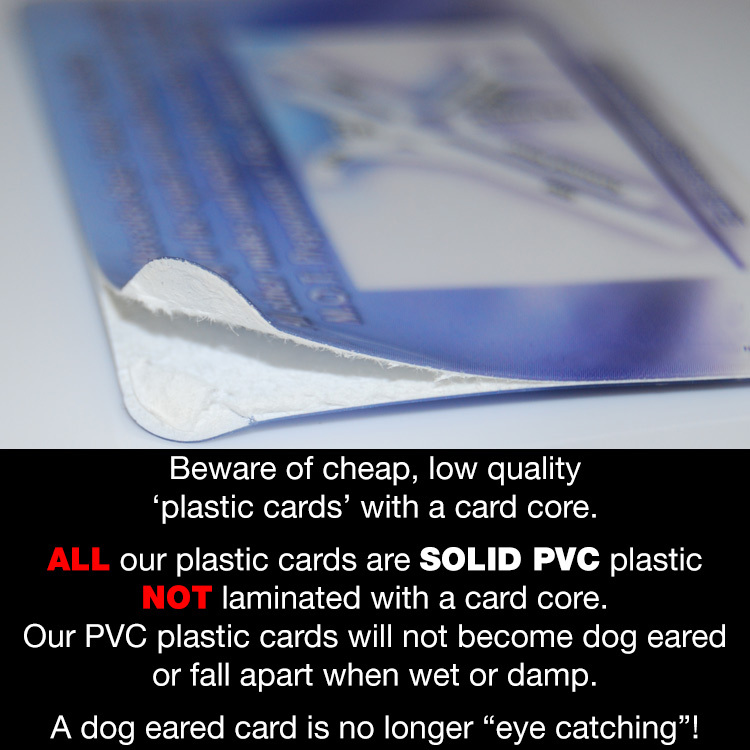 You will find cheaper cards on the internet but they will be low quality imports from China. 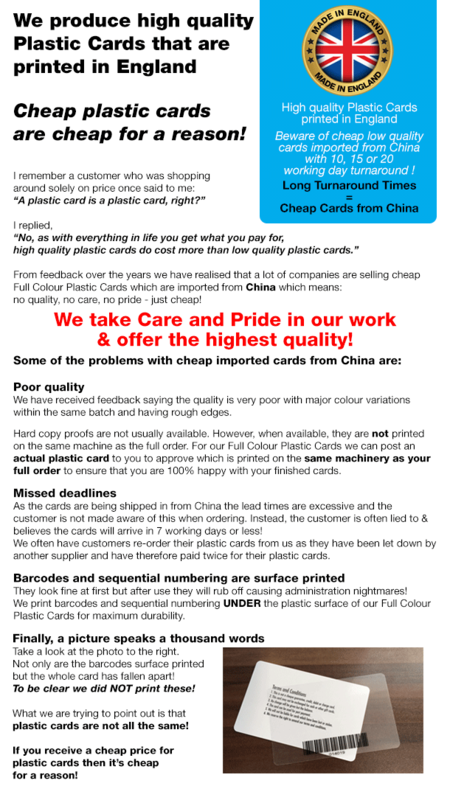 However, you will probably not be aware of this, as companies who outsource production to China don't like to advertise that the cards are printed thousands of miles away and that they have no control over the manufacturing process and the quality will be ... well, as you would expect for a cheap import from China! 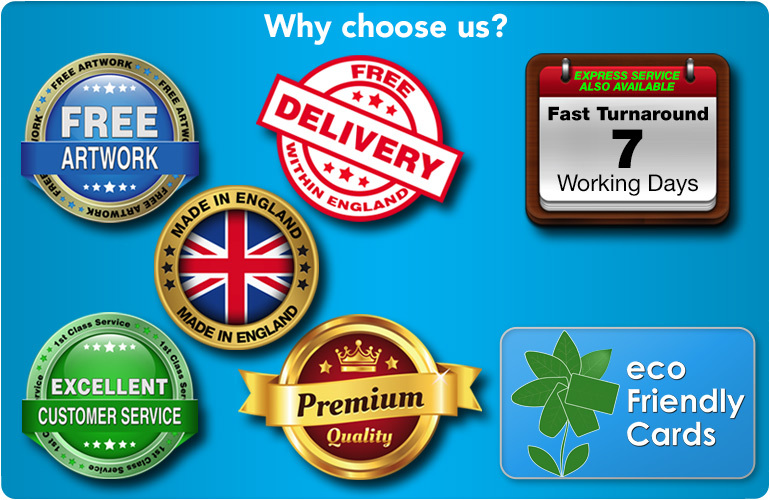 We offer FREE delivery on all orders (within England). 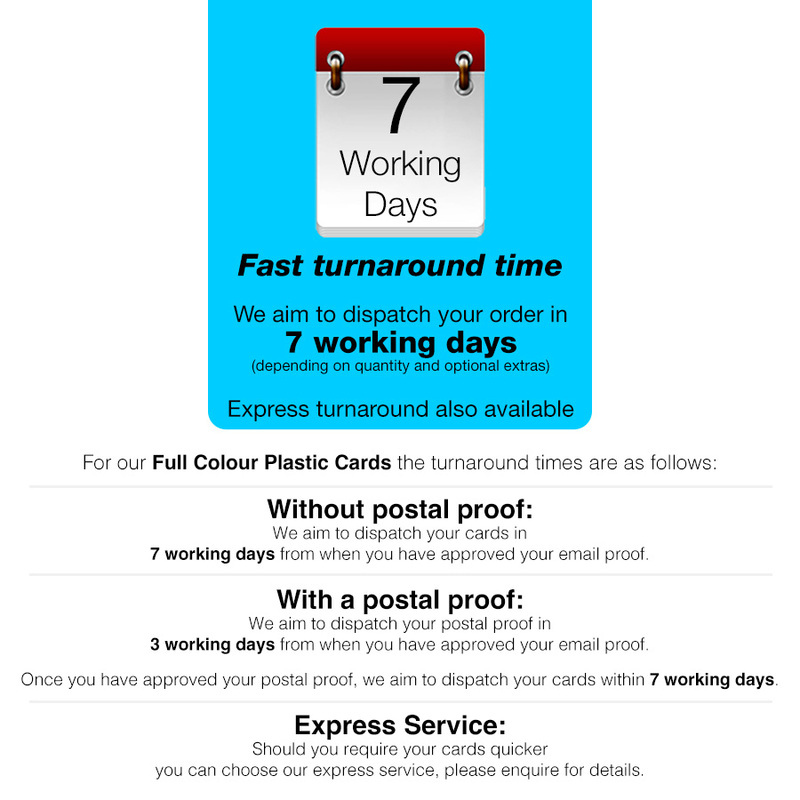 Express turnaround is also available. 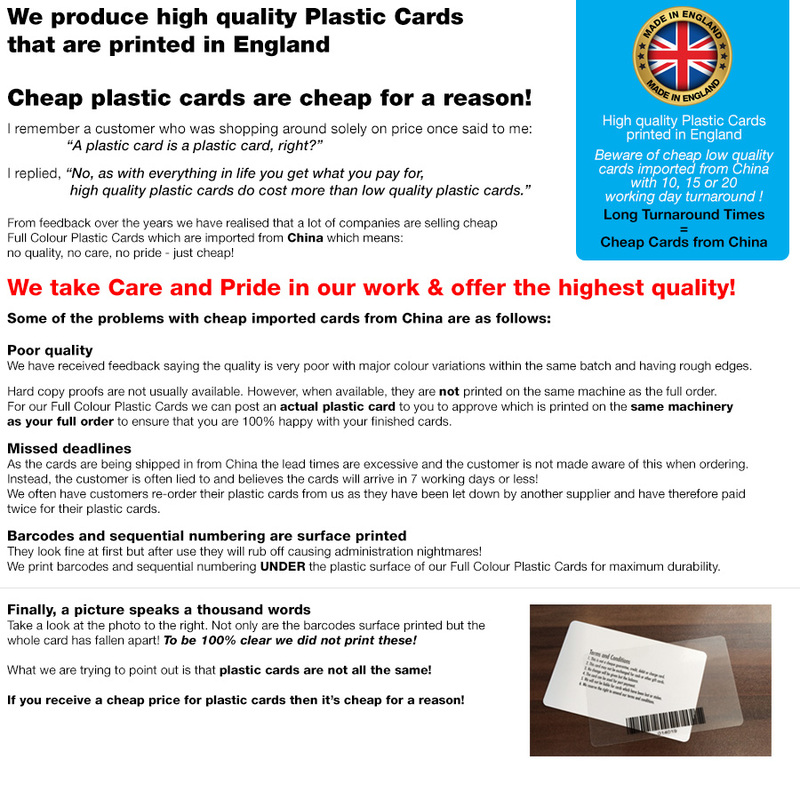 Our Plastic Cards are printed in England, they are not cheap imports from China. We take care and pride in our work and offer the highest quality and service. Get your personalised quotation from our sales team. We aim to email your quotation to you within 30 minutes during working hours. 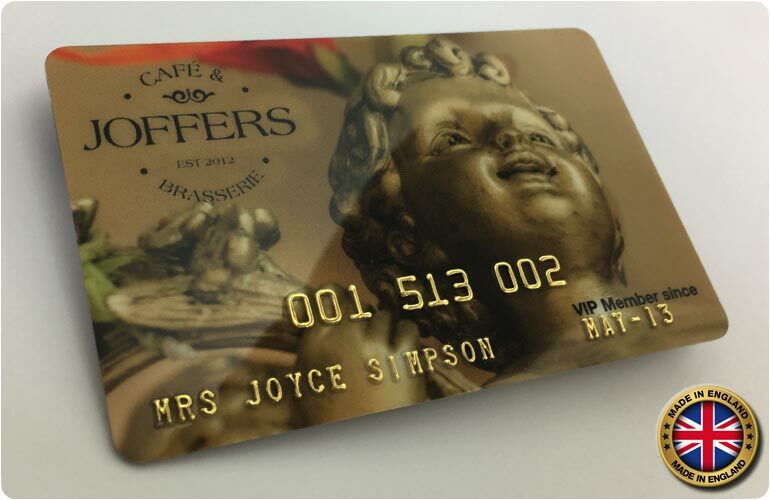 We can print an actual Plastic Card from your artwork with any optional extras as applicable and post it to you to approve before we print your whole order. 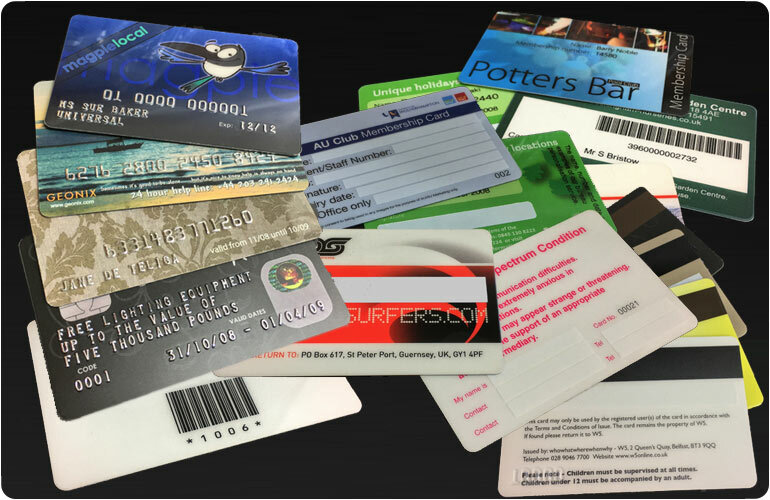 We have a wide range of optional extras such as signature strips, barcodes, magnetic strips and embossing. 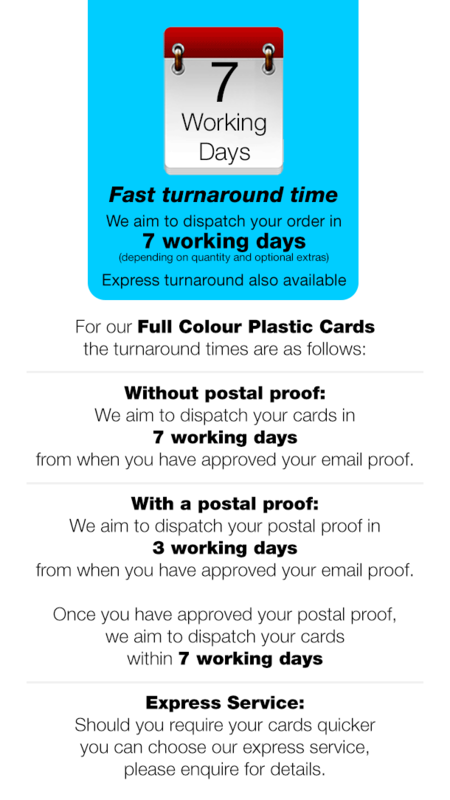 All our cards are solid plastic and are printed in vibrant full colour (CMYK) on each side under the surface for maximum durability. Choose a high gloss or luxury matt finish. 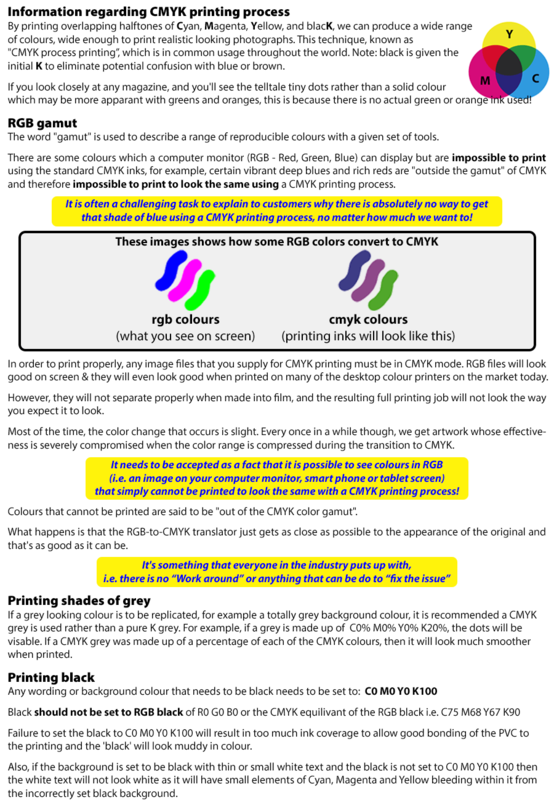 We have artwork guidance to help you create your artwork in the correct way so your order is processed as quickly as possible. We have many examples to give you ideas and inspiration. 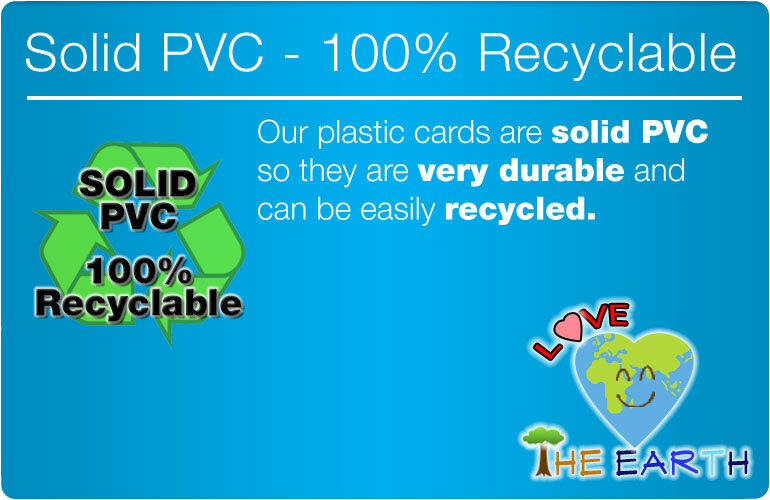 very durable and can be easily recycled. Learn how quick and easy it is for you to place your order. 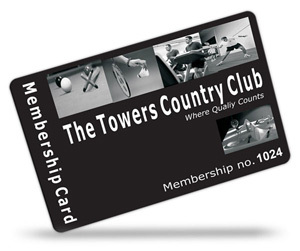 Is Your Business or Club Missing Out on the Benefits of Membership Cards? More than ever before, savvy businesses are using membership cards to strengthen and sustain customer loyalty. Whether you're grappling with customer retention issues, seek to sharpen your competitive advantage, or want to increase upselling and customer lifetime value, a membership card can support your overall marketing efforts in a real and meaningful way. According to Accenture, just 28 per cent of consumers are loyal to brands. UK shoppers seek out a lot of information about brands before purchasing a product, and are less loyal to retail brands. Support.com says that 73 per cent of consumers are most influenced by price and value when they decide whether or not to stay loyal to a brand. A study by analytics company Verint reveals that 27 per cent of consumers would be willing to sign up to a company's loyalty scheme when first presented with such an offer. According to Marketing Executives Networking Group, 55 per cent of millennials claim to be loyal to brands, compared to 39 per cent of consumers in the 35 and above age category. A study in the International Journal of Market Research indicates that customers who buy sportswear switch brands and, as such, don't have any fixed allegiance. Smaller sportswear brands attract a little less loyalty than their larger counterparts. A survey by marketing agency Cherry London suggests that women are more brand loyal than men, if they are adequately rewarded. 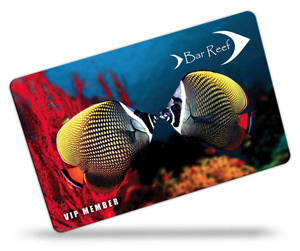 A membership card that offers discounts and special offers can be the incentive that customers need to make repeat purchases and curb the tendency to compare brands before every purchase. Small businesses may initially be focused on cash flow and revenue generation, and effective customer engagement may not be a huge priority. 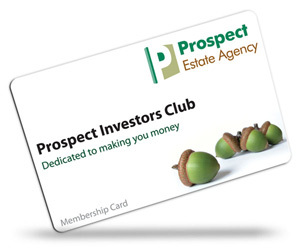 The first thing that may come to mind on the subject of membership cards can be 'money-off deals', instead of the value of rewarding customers for their business and continued patronage. Customer reward strategies can go a long way in making customers feel special and cared for. Small businesses are already well-poised for intimate and personalised interactions with customers. 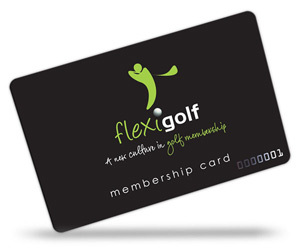 Membership cards can grow and solidify the relationship, helping ensure that the brand is always in customers' minds. This front-of-mind awareness is crucial in pushing customers towards your product/service every time they experience such a need. 61 per cent of consumers would tell their family and friends about their brand experiences. Membership discounts and offers give consumers a reason to recommend your brand to their contacts. Not only do they increase customer appreciation, but also pique others' curiosity about you, encouraging them to try out your offerings. Customer retention rate has a direct impact on the top line as well as the bottom line. In five years, a business with a 70 per cent customer retention rate would have lost up to three times as many customers than a business with a 90 per cent retention rate. 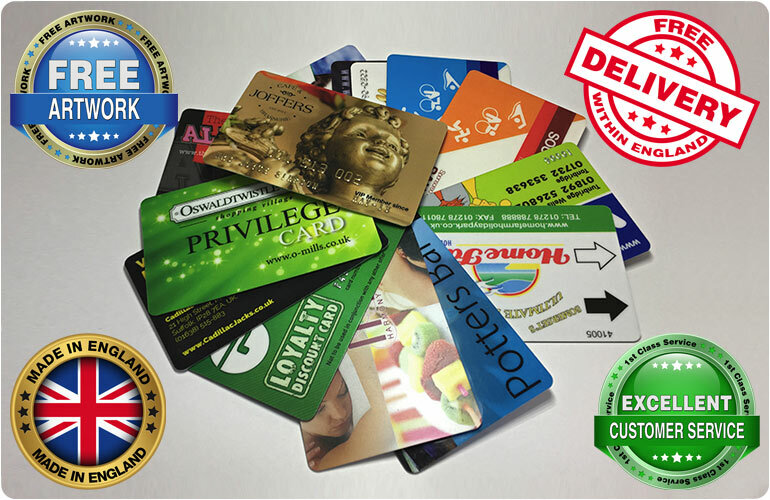 Membership and loyalty cards offer a strong reason to continue buying from a business. It is often seen that once customers start using special offers and redeeming rewards, their enthusiasm for the business as well as engagement with it grows. 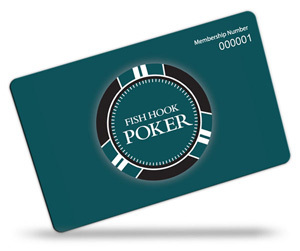 The perks offered by your membership card will determine how effectively you will be able to acquire customers. As already stated before, it is more profitable to retain customers and try to increase their lifetime value or upsell to them, than invest in new ways to get more customers. In his research involving a well-known retailer, author and loyalty expert Brian Woolf found that after a year of becoming a customer, just two out of every thousand new customers - a mere 0.2 per cent - were in the top customer segment, while just twelve - or 1.2 per cent - were in the second segment. Also, between 95 and 96 per cent of new customers were either in the lowest segment or had abandoned the business by the end of the year. The quality of new arrivals can be improved by assessing the data of loyalty programs. The data can help understand the demographic similarities of existing, high-quality customers, which can then be used for tailored targeting of prospects who fall within similar demographics. 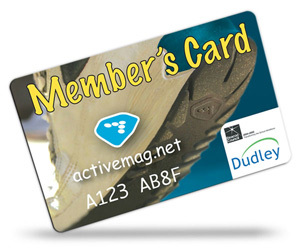 In fact, access to customer data is a huge benefit of membership cards. 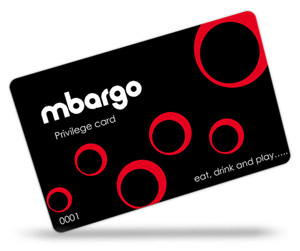 Cards that have magnetic strips capture customer data at the point-of-sale, giving you a glimpse into customers' frequent purchases, so you can create suitable discount vouchers reflecting their preferences and buying habits. An analysis of customer data, purchasing behaviours and loyalty levels will reveal who your best customers are. You can spend the necessary time, money and effort on your best customers to increase their shopping cart values and the return on your marketing investment. 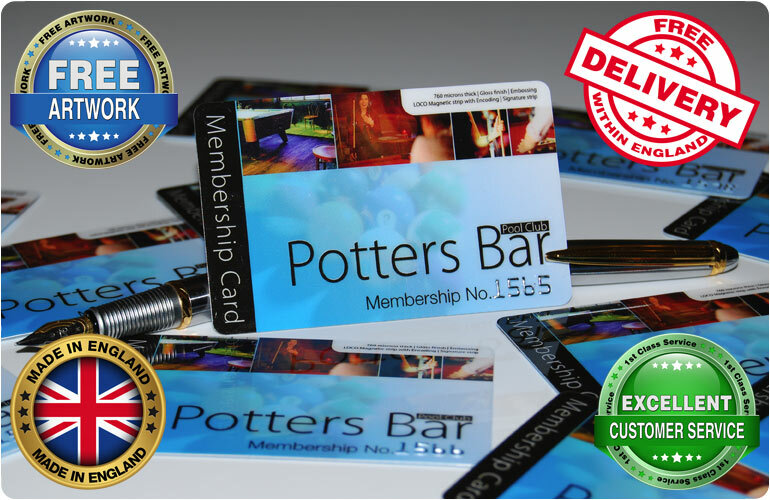 Membership cards allow businesses the opportunity to enhance their value proposition. If you're a store owner-operator for instance, your membership card can offer exclusive cash rewards, early shopping hours or discounts. Free shipping or other value additions also increase the appeal of a membership. They all serve as incentives to buy from you instead of turning to the competition. You can't stop consumers from comparison shopping; but offering extras and inducements can tip the scales in your favour. The success rate for converting prospects is typically five per cent, while the rate for reactivating inactive customers can go as high as 20 per cent. Winning back customers has a high rate of success than acquiring new ones. An advantage you have with lost/inactive customers is information about their purchase history, contact details, and preferred communication channel. Your customer win back program can help you identify the kind of incentives and rewards that elicit positive results and those that don't. You can use this information to attach the most-appreciated rewards to the specific products you want to share with customers/clients. Building long-lasting relationships with customers isn't exactly an easy job. A number of factors may work for or against you in your effort to engage, win and retain customers. Age is one factor. Studies in the UK have shown that customers under the age of 45 are most loyal and those over 65 are least loyal. Some other studies haven't found a clear relationship between age and loyalty. We live in a world of the highly connected customer who checks reviews, ratings and peer recommendations on review sites and social media to make informed purchase decisions. Businesses that earn positive word-of-mouth are more likely to attract healthy traffic to their website, calls or requests for more information from prospects. Building and nurturing relationships is less of a challenge when you have customers knocking on your door. But the task of reaching out to your target audience, identifying leads, and converting them to customers is effort-intensive and time-consuming. Here's where simple yet effective tools like a membership card can help in forming relationships and motivating customers to come back for more. Once you've handed out membership cards to customers, they will keep doing the work for you. 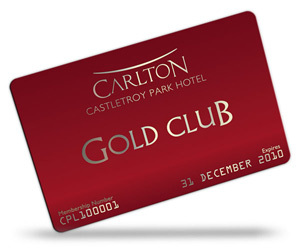 As long as they have their cards, your customers will want to make the most of your product/service and special offers. 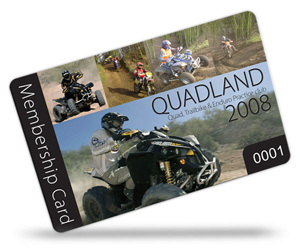 The self-sustaining nature of membership cards can also relieve some your marketing costs. You don't have to keep sending out promotional material or invest in outdoor advertising in order to remind customers to keep buying from you or using your service. Additionally, satisfied customers can act as brand advocates and personally recommend your business to their friends, family and associates. It can supplement your own marketing efforts and expand your customer base. 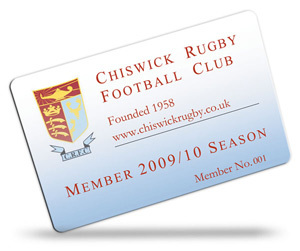 You can personalise your club's membership cards with member data and protect it through an encoded magnetic strip. 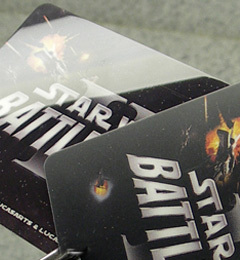 Sequential numbering on the card will serve as proof of the unique identity of the card-holder. Issuing membership cards annually has been seen to encourage a prompt response at the time of renewal. 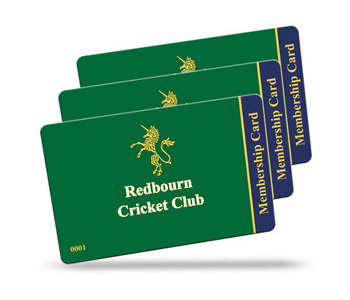 Unless your customers have made up their mind to discontinue your service, you can expect the membership card to keep reminding them of their association with your club and all the advantages that come with it. People join clubs to participate in activities they like or socialise with like-minded people. 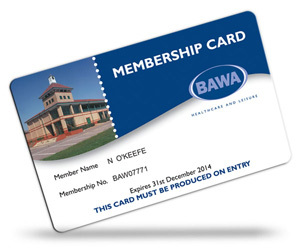 The appearance and quality of a membership card can add to this appeal, hastening recruitment and retaining interest. 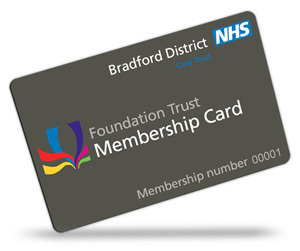 Printed membership cards also act as a security tool. They can be manually checked or swiped to permit entry into your premises. It can ensure that only members have access to your premises and non-members cannot make unauthorised use of your services. We've been serving a diverse customer base of small local businesses, multi-national organisations, and sports, hobby and recreational clubs for several years now. Our company is founded on principles of superior quality and a customer-first attitude. 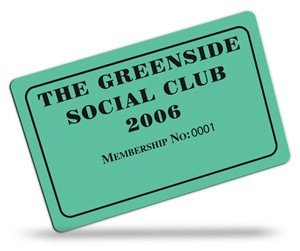 A sizeable percentage of our sales comes from referrals and we're proud to have a large family of satisfied customers who rely on us for all their membership card printing needs. 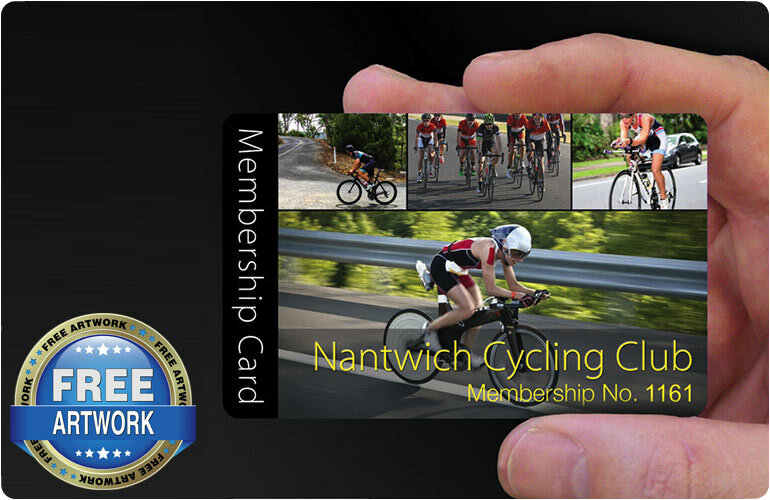 Our locally printed membership cards are made from top-grade plastic to ensure the highest strength and durability. We don't cut corners and provide a quality product that enhances the reputation of your brand. We offer two levels of customization. 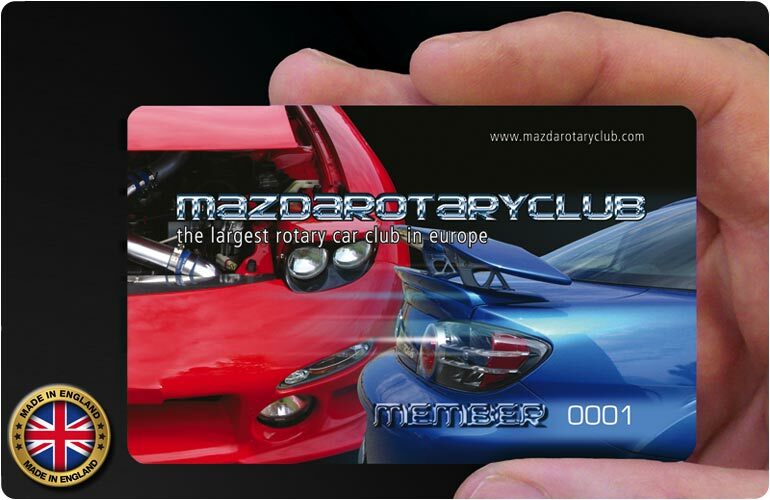 One is the card specification, where you can set the basic features of your membership cards according to your requirements and budget. You also have a number of optional extras, from signature strips, sequential numbering and embossing to magnetic strips, barcodes, QR codes and more. If you're looking to structure your membership program with different sets of cards and value propositions (offers, discounts, rewards, etc.) to specific categories of customers (such as those who spend above a certain level or different cards for new members of your club versus those who have been associated with you for over five years), our customisation can align perfectly with your requirements. We do the work, but you stay in control! 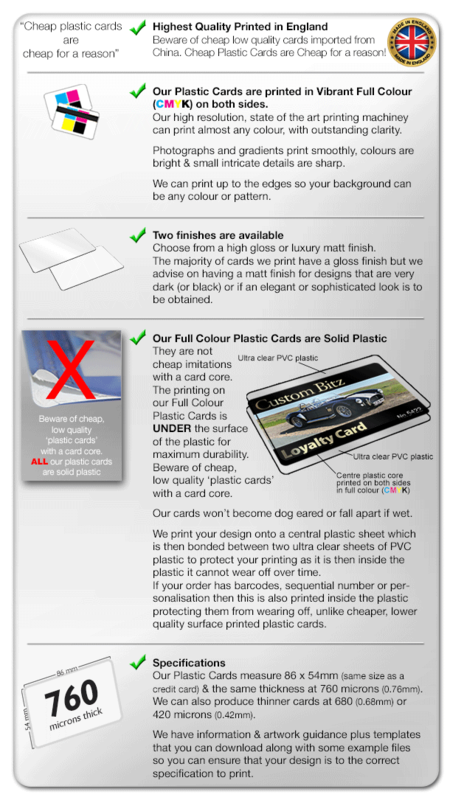 Colour Plastic Cards follows a three-step process from initial contact to project completion that keeps you completely in the loop so that the final result not just meets but exceeds your expectations. Get a quick personalised quote, a photo-realistic proof via email for approval, and have your order delivered to you within the promised deadline. 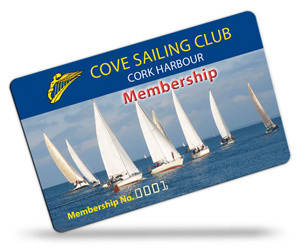 Besides offering a number of optional extras, we help you finalise the artwork on your membership cards. You have the option to send us your artwork, which our professional artists will fix and tweak for maximum visual impact. 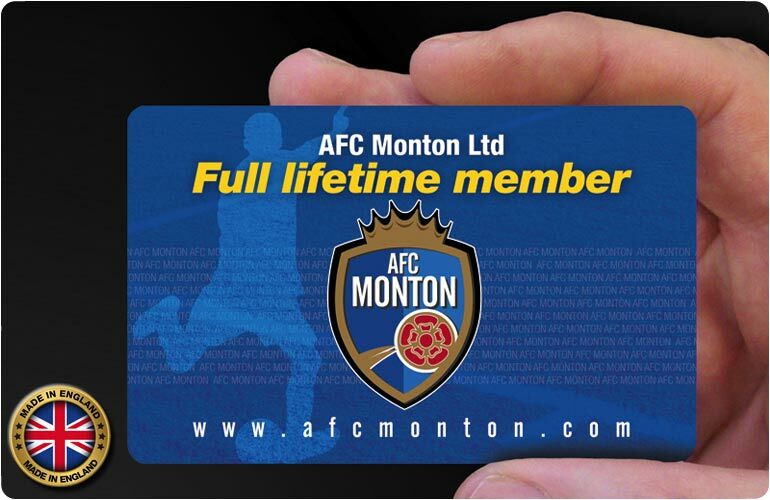 We also provide guidance on artwork so you can take judicious decisions on how you would want your membership cards to look and feel. 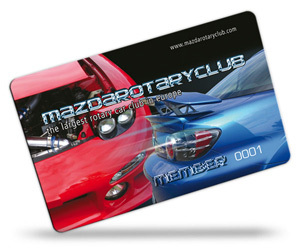 Make your printed membership cards completely and accurately representative of your brand image and reputation. Our prices include free artwork and free correction of any artwork you send across. We take pride in sourcing our materials locally and offer a quality assurance from the outset. We make every step our engagement process with you clear and transparent, from thoroughly understanding your requirements, and sending across samples to assistance with artwork and meticulous attention to detail. Our value proposition is unbeatable and so are our prices! 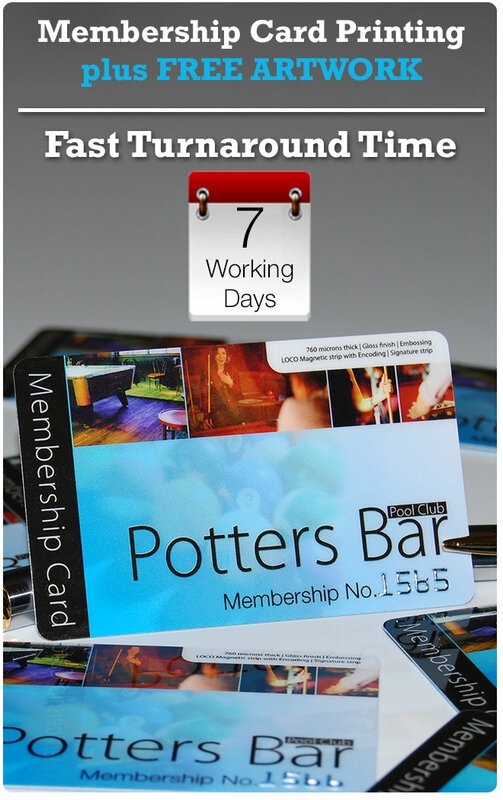 Extract maximum business benefits from printed membership cards customised to your unique requirements. Get more information today - we look forward to working with you.